"How could so many students not know who won the American Civil War, who the Vice President is, or who the United States won its freedom from?" She thought. Some of her colleagues felt the video was staged, but the producers came up with a response video that strongly suggested that it was not. What was even more unsettling was the fact that all of the students knew who Snooki was and who Brad Pitt’s wife was. Some of Patty’s statistics students got wind of this video and decided to make a similar video at Ivy University. The results were mostly comforting: 49 out of 50 students knew who won the Civil War, and the one student who didn't was from India. They also did well with some other questions, 85% knowing that Joseph Stalin was the leader of the Soviet Union in World War II, and a high number knew that Joe Biden was the VP. But Patty was most troubled that almost 50% did not know who wrote “A Christmas Carol.” She had discussed the topic with Rob and was further annoyed that he didn’t seem as troubled as she was. Rob pointed out that some international students might not have had English literature in their studies, and being a story about Christmas, it could be a cultural thing. Patty was unconvinced by his arguments. It still seemed troubling to her. 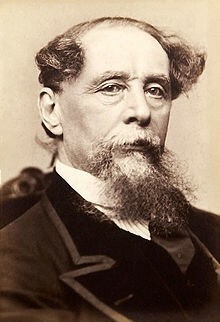 Figure: Charles Dickens in 1867, twenty-four years after he authored "A Christmas Carol."